Well, here we are, the second week of February and the only thing that seems more unlikely then a 28-3 third quarter Super Bowl comeback is competitive hockey in Edmonton. Yet, like Tom Brady’s astonishing playoff performance, the Oilers seem steadfast on making their first playoff appearance in over a decade. In fact, this will be their first playoff birth since their 2006 game 7 loss to the Carolina Hurricanes, fingers crossed. A lot has changed since then. In fact, the only person still with the club from the 2006 run is the Coach, turned VP of Hockey Operations, Craig MacTavish. In 2006 the Oilers came into game 7 with Jussi Markkanen between the pipes. The 6-foot Fin was drafted 5th round by the Oilers in 2001 and had never been a starting goalie in the NHL at that point. The game 7 loss was also the last game he ever played in the NHL. So, with a new team, new management, new goalies and a once in a generation talent in their captain Connor McDavid, the Oilers look poised to rectify the missed opportunity of their predecessors. 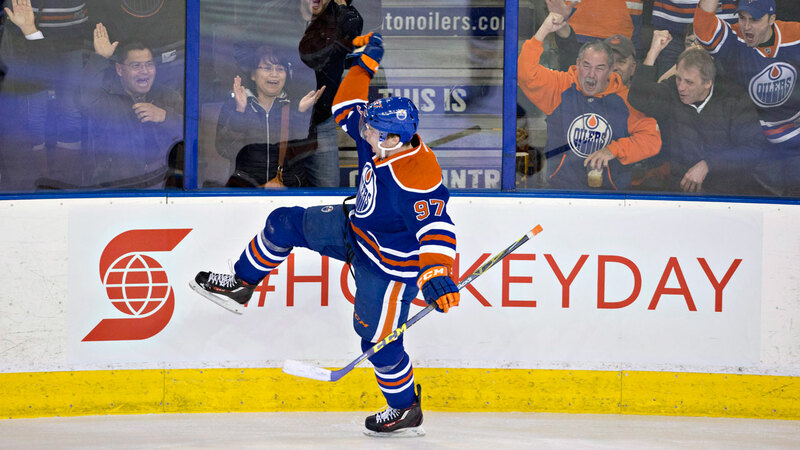 Coming out of the break the Oilers have slumped year after year but seeing the Oilers captain solidify his spot as the fastest player in the league has this fan, for once, excited to see what the rest of the season has to offer. The current playoff picture is also a much better one from the Canadian perspective. 2016 marked an all time low, with no Canadian team making the playoffs. As things sit the only teams not in a playoff spot are Calgary and Vancouver. However, even these two teams are chopping at the bits to climb into the Western Division wild card spots. Calgary sits just outside one of the last playoff spots with 59 points. Both Los Angeles and Nashville are slightly a head of them with 60 points a piece. In the Eastern Conference the picture is also a positive one for hockey in Canada. Montreal sits first in the Atlantic with 70 points and Ottawa, on the back of a strong month of play, is closing the gap with 64 points. That being said, there are some negatives to the surge of strong Canadian teams, specifically the Detroit Red Wings. They currently hold a 25-season postseason appearance streak; the longest active streak of any of the four major North American professional sports leagues (NHL, NFL, NBA, MLB). All in all, a small price to pay for this Edmontonian who is ecstatic at the prospect of seeing Oilers playoff hockey for the first time in his adult life. That being said, it is a sad reality that Rexall will never again have its roof rocked by the thundering roar of the Oil faithful. But the new arena, Rogers Place, with its 18,000+ seating capacity, nearly 2,000 more than Rexall, should make for a more than adequate replacement. So, here’s hoping for a positive end to the season and one hell of a playoff run.